PSYOP Regimental Blog: Cyber, Cyber Everywhere But Not a PSYOP to Think! 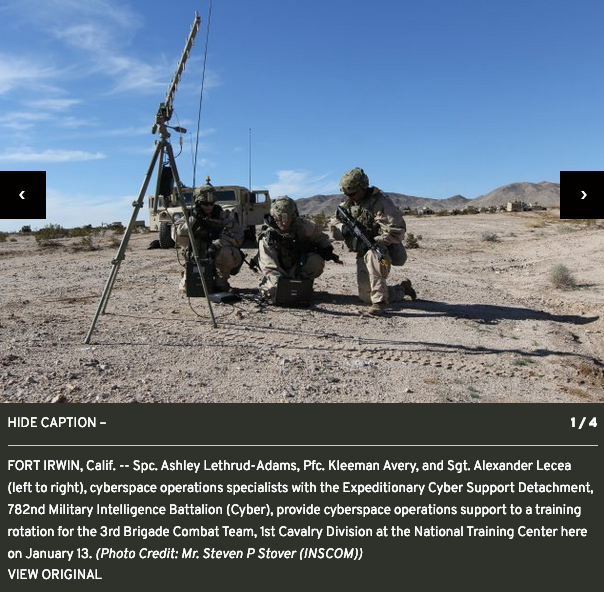 The Army’s Cyber Command (ARCYBER) continues to ‘march’ forward in its mission of bringing cyber capabilities to the tactical CDR. Much as I have predicted, cyberspace operations are following in the footsteps of SIGINT as the migrate from behind the ‘Green Door’ to the field. 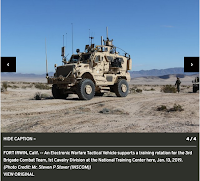 The trigger for today’s posting is a January 31, 2019 article from the Army which you can see at: http://bit.ly/2IbTBRV, and which is also the photo source. There are also some parallels to the PSYOP world as reach-back is a key component of the resource. 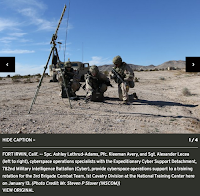 The article goes into detail to describe “the Cyberspace Electromagnetic Activities (CEMA) Support to Corps and Below (CSCB) program created in response to a directive by the Chief of Staff of the Army to build unit cyber capacity and help the Army to operationalize cyber.” The essence of the mission is to develop the organization and reach-back resources needed to support the cyber mission. But what is the cyber mission? Ultimately cyber, like any other battlefield system, must focus on making the CDR more successful. 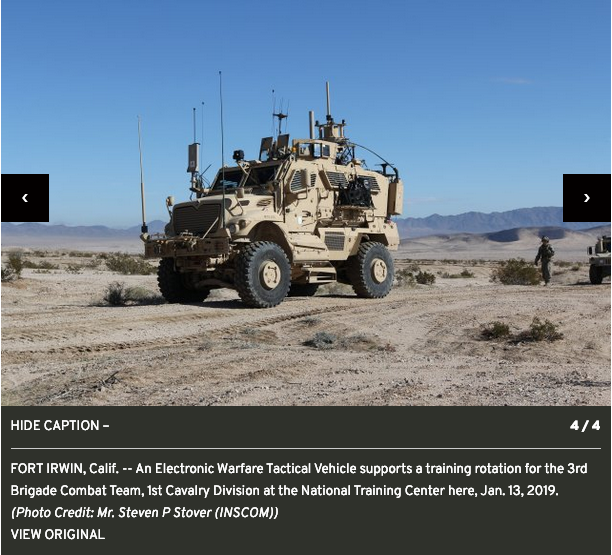 Clearly ARCYBER is well positioned to throw electrons around the battlefield, but what about ideas and impacting behavior? Once again, I’m more than a little concerned that there does not appear to be any attention paid to the concept of “Cyber Influence”. CDRs must dominate the information domain – which is more than cyberspace but impacting the space between ears of the enemy. The real cyber-battlefield is for “hearts and minds.” Our enemies are good at this as shown by Russian voter influence and ISIS propaganda. US efforts don’t appear to be nearly as successful. This session will explore the fragmentation between cyberspace operations and Psychological Operations (PSYOP). I will be delivering a presentation on Cyber Influence at the RSA Conference in San Francisco on 5 March 2019, you can see a sneak preview of my talk at: http://bit.ly/2RIeGCV. Sam - I believe EW can be very effective as a PSY-Act and as such as very impactful.